THIS ITEM IS DELIVERED IN TWO PIECES SO IT CAN FIT ON A FREIGHT TRUCK. 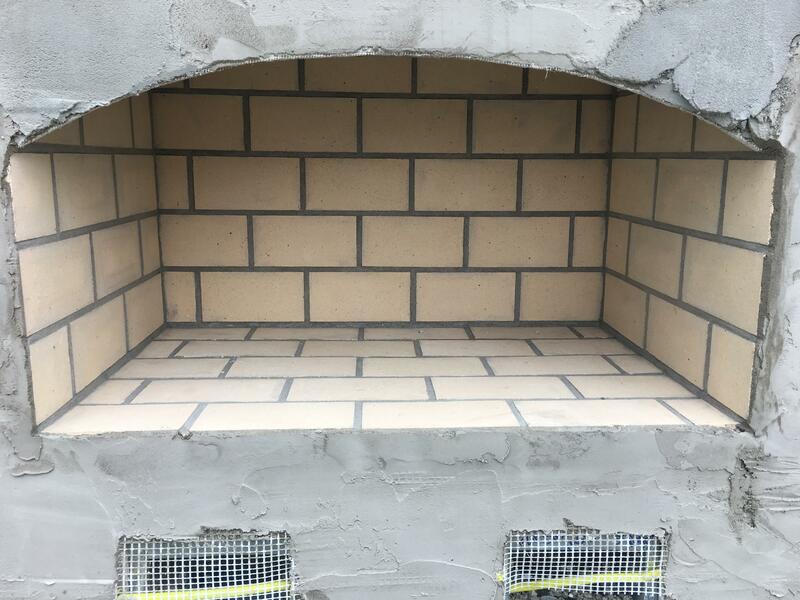 THE MAIN FIREPLACE AND PIZZA OVEN WILL BE THE FIRST PIECE. THE SECOND PIECE IS A 15” PORTION OF THE STACK THAT WILL HAVE TO BE ASSEMBLED. BUYER MUST HAVE FORKLIFT ON HAND AT DELIVERY TO HELP REMOVE ITEM FROM TRUCK SAFELY AND MOVE TO FINAL INSTALLATION LOCATION. FREIGHT COMPANY WILL NOT MOVE ITEM TO FINAL LOCATION. DELIVERY COMPANY WILL CALL TO SET UP A DELIVERY APPOINTMENT PRIOR TO DELIVERY SO BUYER CAN ARRANGE TO HAVE A FORK LIFT PRESENT. Round Grove Products makes a full lineup of hardscape products for outdoor entertainment. 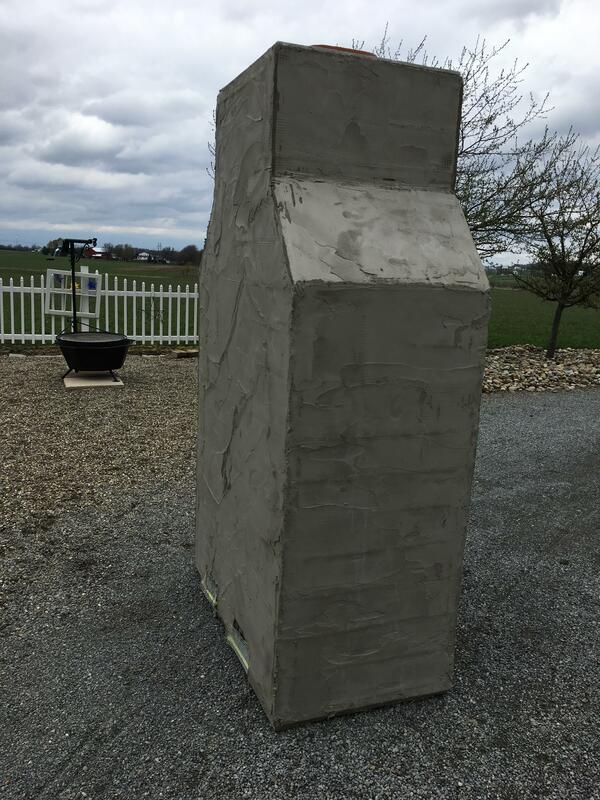 All products are made using 18 gage galvanized steel framing and fiberglass reinforced cement board sheathing, then they are scratch-coated to prepare the surface for finish veneers. 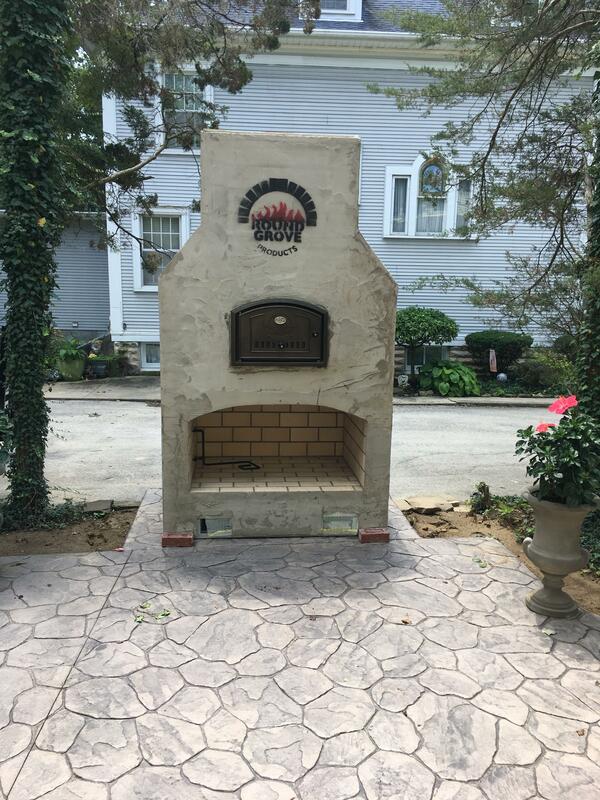 The brick oven and fireplace are constructed with fire brick and refractory grouting with fire clay as an integral ingredient. 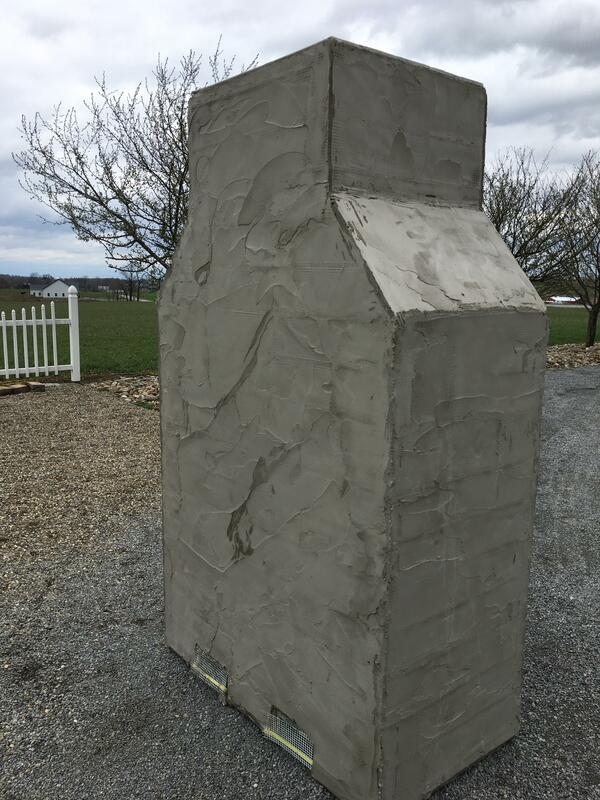 Hot gasses and smoke exit the firebox through a 12x12 clay flue liner. The fireplace firebox is 40" wide x 24" high at the top of the arch. 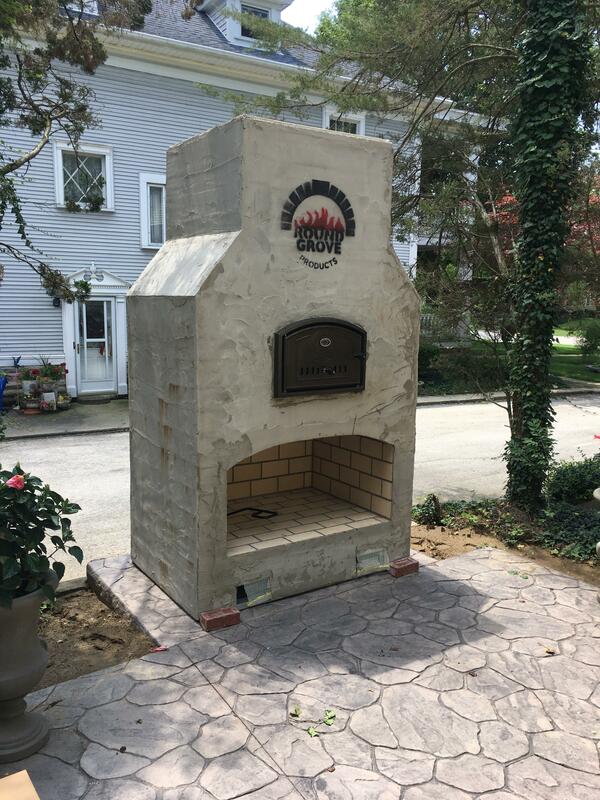 The brick oven is an independent combustion area that is completely insulated from the fireplace. 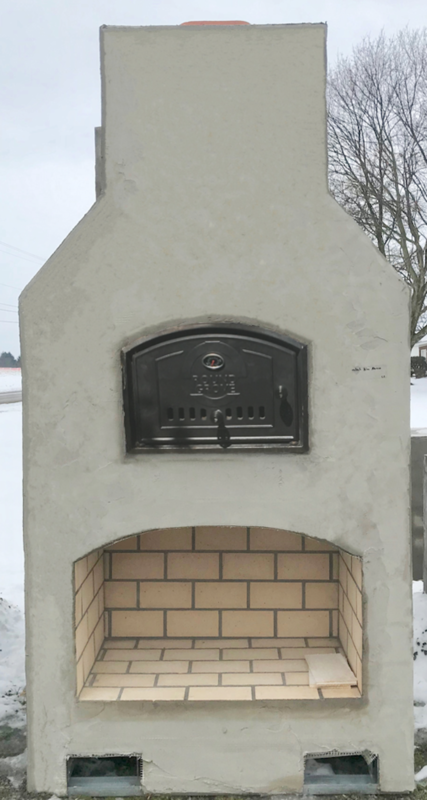 It includes a brick interior arched top as well as a 2" dome made of refractory material. 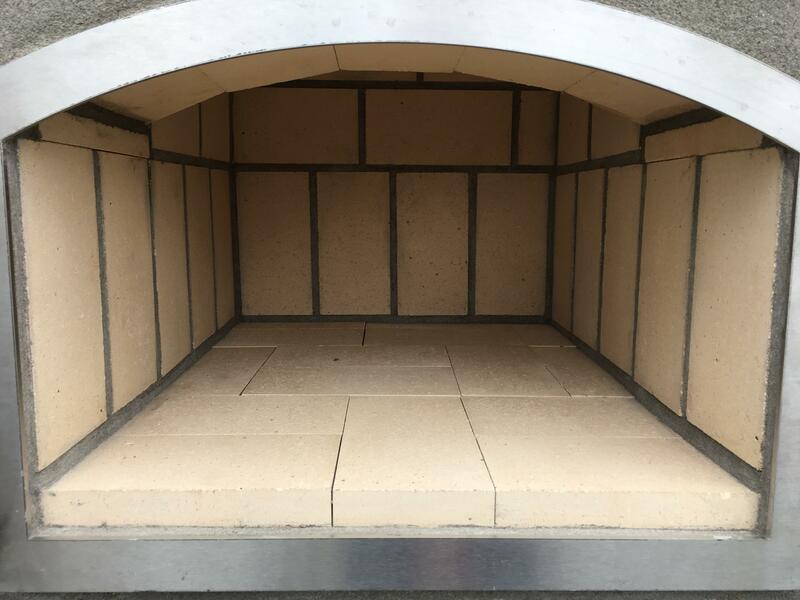 The brick oven is insulated using mineral wool.​​​​​​ The brick oven door is made of Cast Iron(stainless and black powdercoated door available). The brick oven interior is 18" wide x 24" deep. All materials are made in the USA. Each brick oven includes a pizza peel. These are easy to move with a standard pallet jack. They have a pallet built in to the base of the structure. CALL OR EMAIL FOR HUGE DISCOUNTS ON BUYING MULTIPLE ITEMS! Most people don’t realize how versatile a good wood burning brick oven is. Pizza, bread, cakes, sausages, fish, steaks, turkey, chicken, cookies can all be done in the oven. Also fruits, mushrooms, herbs can be dried to use on your next meal. Use a grill that goes over the coals and a drip pan under the meats to make some of the best hamburgers or hot dogs ever. Wood roasted vegetables like asparagus, beets, cauliflower, carrots, or potatoes – just season lightly and drizzle with olive oil. Cedar plank salmon or any good fish is delicious when prepared in a wood burning oven. Cooking pizza to perfection means placing it on a very hot oven floor at a temperature of 650 -750° F. At this temperature pizza will take 3 minutes to be ready. At first, when the oven is around 800°F, make thin and crispy pizzas in 90 seconds. Thicker crusts make very nice pizzas around 600-700°F. These temperatures are still too hot for bread. When the temperature has dropped to around 450°F, then it is time to put big roasts and other large meals in. Bread goes in last so it doesn’t bake too fast on the outside. At lower temperatures you can bake garlic knots, calzones, pepperoni rolls, and garlic cheese sticks. For dessert cover a pizza pan with a dozen graham crackers and marshmallows, then top the cooked result with broken bits of chocolate. Another novel way to cook in your oven is using cast-iron skillets and pots for braising meats and veggies, caramelizing onions, or roasting whole cloves of garlic. Mmmm! The aroma would drive your neighbors mad with hunger and envy. At lower temperatures a soup can stay warm all day long. Imagine a cool autumn evening concluding with a glass of wine and a simmering chowder from your wood-fired oven! In conclusion there are dozens of uses for a wood-fired pizza oven to cook anything other than pizza. Finding your own personal favorites is just a matter of learning how to be creative and innovative with a new method of using heat and flame! 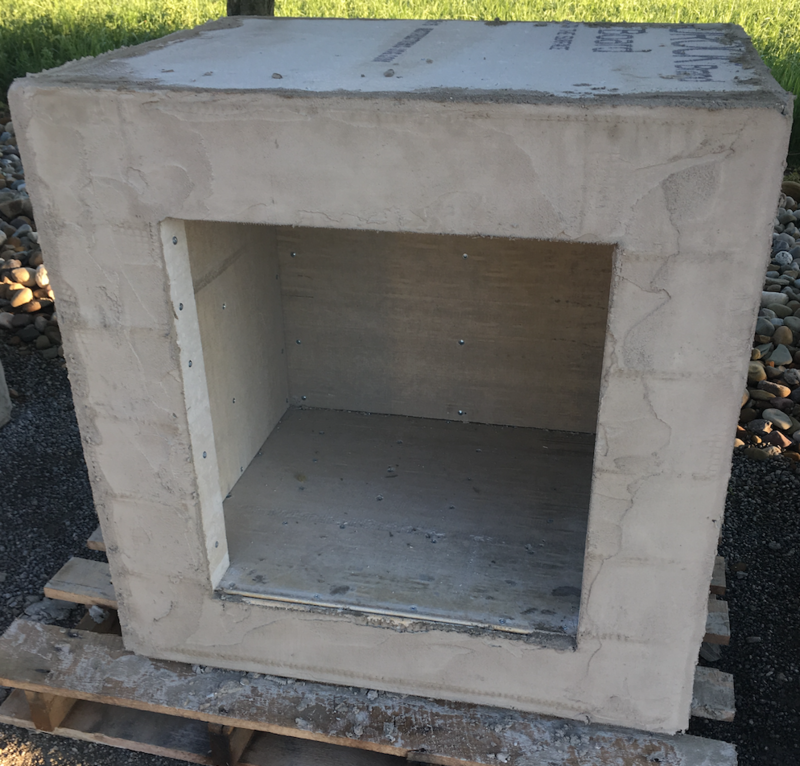 WANT TO ADD WOOD STORAGE BOX TO EITHER SIDE OF FIREPLACE? Review : Talk about easy. This was perfect for our do-it-yourself project. We set this on the patio and finish it with some stone. It was easy to move with a standard pallet jack, because of the built in aluminum pallet. We saved thousands of dollars! The quality was GREAT! So glad we found this Fire Place. We got a 36 inch wood box for each side, so it is a very substantial fireplace. It makes crazy good pizza too!